Kristi Ockba is a trainer, translator and teacher. She started by working for AMIDEAST in both Yemen and Kuwait, in Estonia she teaches both English and Arabic. She gives workshops and lectures on middle eastern culture and the religion of Islam. Currently she is the project manager of a humanitarian aid project in MONDO NGO for assisting Syrian refugees in Turkey, Jordan and Lebanon. She is also a trainer for the EU Aid Volunteers initiative. And a trainer for the adaption program for re-settled refugees through IOM. Miguel Silva Graduated in International Relations (Diplôme de Recherche et Etudes Internationales, INALCO-Sorbonne University, Paris), and coordinates the North-South Centre of the Council of Europe Global Education programme since 1999. He participated in the drafting of the NSC Global Education Guidelines and in the content development of the NSC eLearning and training of trainers scheme as well as in the drafting of the GE recommendation adopted by the CoE committee of Ministers in 2011. He coordinates the monitoring process of the GE Congress strategic recommendations (Zagreb 2015) through the realisation of regional seminars in Balkan, Baltic, Visegrad and South-East Europe and Mediterranean countries. He coordinates the Global Education Week, an annual awareness raising event with the support of the GEW network. He participated in coordinated projects with sister organisations/networks (Anna Lindh Foundation; British Council; CONCORD-DARE Forum; European Development Education Multistakeholder group; UNESCO) in the field of global education and global citizenship education. His previous experiences led him from newsletter editor; lecturer; communication officer and project coordination related with international relations and regional development. Marju Lauristin is an Estonian Member of the European Parliament in the Group of Socialists and Democrats. She has an academic career in social sciences and is a Professor in Tartu University since 1995. Her research has covered migration and integration issues since 1997. She has also been the member of the Advisory Committee on the Framework Convention for the Protection of National Minorities. 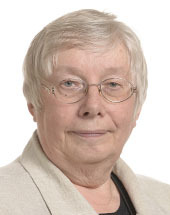 Ms Lauristin was one of the establishing members of ‘Rahvarinne’ in 1988, the first large-scale independent political movement in Estonia since the beginning of the Soviet occupation. 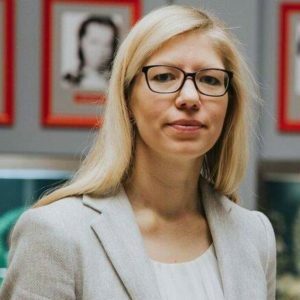 She has since been Chairman of the Estonian Social Democratic Party, deputy speaker of the Estonian parliament, minister of Social Affairs of Estonia, and member of the Estonian Parliament. Currently she is a member of the Civil Liberties, Justice and Home Affairs Committee at the European Parliament. Mohammed Rherras graduate the prestigious Alakhawayn University in Morocco with a BBA and holds a master of arts in international Coopération from Kyung Her University in South Korea. 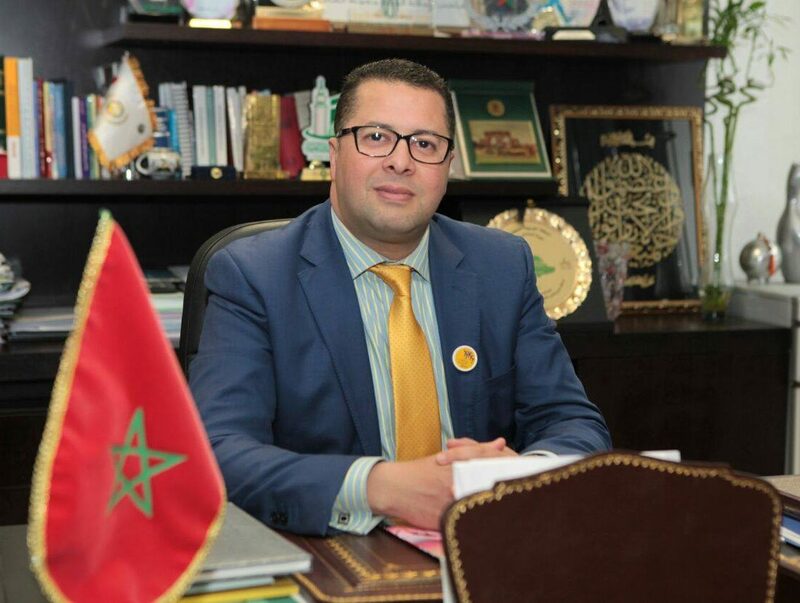 Mr. Mohammed Rherras has occupied several key positions in public and private sectors in Morocco. 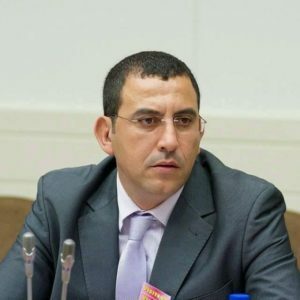 The most recent ones are human resources director and Director of Youth, Childhood and Women Affairs in the Moroccan Ministry of youth and Sports. He is manager and member of NGO s in different fields of actions. And He is also a member the Movement Populaire Party’s National Committee and an elected official in the province of Kenitra. 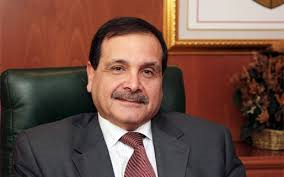 Ambassador Hatem Atallah is the current Executive Director of the Anna Lindh Foundation. Coming from a rich diplomatic background he was the Tunisian ambassador in several countries including US, UK, South Africa and Ethiopia. He was also the Permanent Representative to the African Union, the Economic Commission for Africa, UNEP and UN-Habitat, in addition he was appointed as Diplomatic Advisor to the Head of the Tunisian Government until February 2015. Ambassador Atallah participated in numerous summits of the African Union, United Nations and the Arab Maghreb Union and ministerial meetings adding up to his organization of many cultural activities: exhibitions of paintings, Cinema Days, musical performances, lectures on history and heritage, and debates on inter-cultural and inter-religious dialogue. 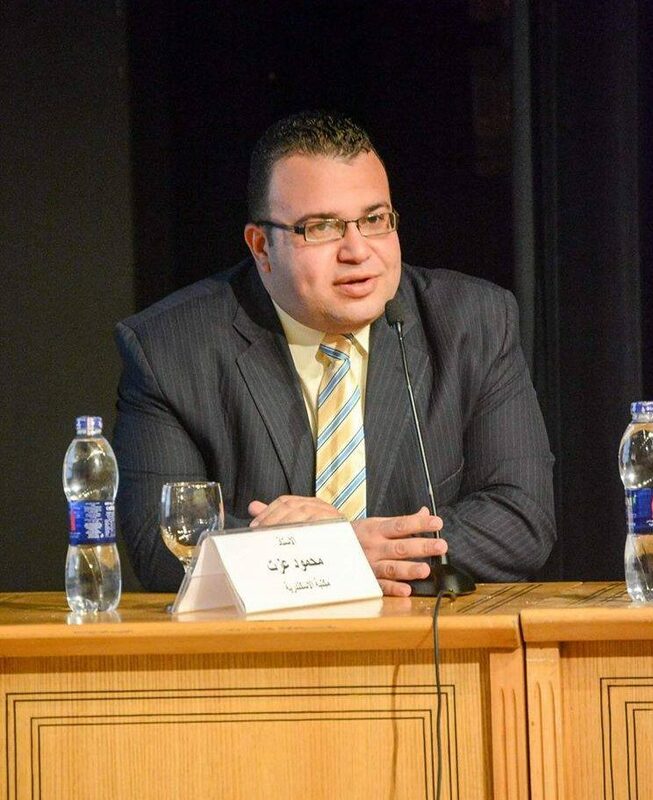 He is currently the deputy director of the Special Projects at Bibliotheca Alexandrina. He got his PhD in political science 2017 from the institute of Asian Studies and Researches in Egypt. In addition, his Master degree in political science 2013 from faculty of Economics and Political Science, Cairo University. And Bachelor degree in political science, Faculty of Economics and Political Science, Cairo University, May 2005. He is an Egyptian researcher and writer in the political, historical and cultural, media fields. His contributions have been published in several magazines and periodicals in Egypt, Spain, Saudi Arabia, Lebanon and Europe. He has been awarded the Egyptian state incentive award in social science “Media and Press branch” 2013, the international organization of African and Asian writers annual prize 2009 and Al- Kindy prize (Best website in the Arab world), Syria 2009. He is responsible for the cultural exchange file at Central Projects and services sector and promoting the cultural cooperation between Bibliotheca Alexandrina and foreign organizations, institutions and NGOs “Locally, regionally and internationally”, also responsible for the Memory of Modern Egypt website, and for several documentation websites. Moreover, extremism confrontation program at Bibliotheca Alexandrina. 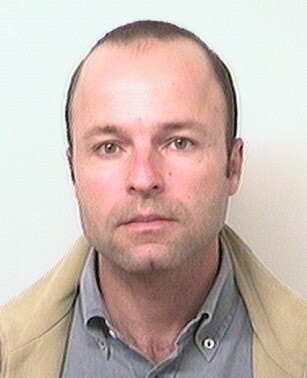 He is one of the main member of “Education without borders” project. He has been named as a general coordinator of the international football tournament for media and journalists. 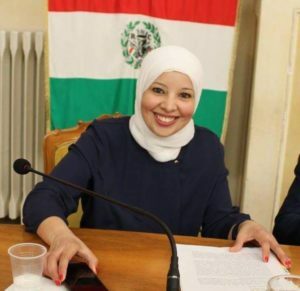 Marwa Mahmoud was born in Alexandria, Egypt, and arrived in Italy with her parents when she was a child. 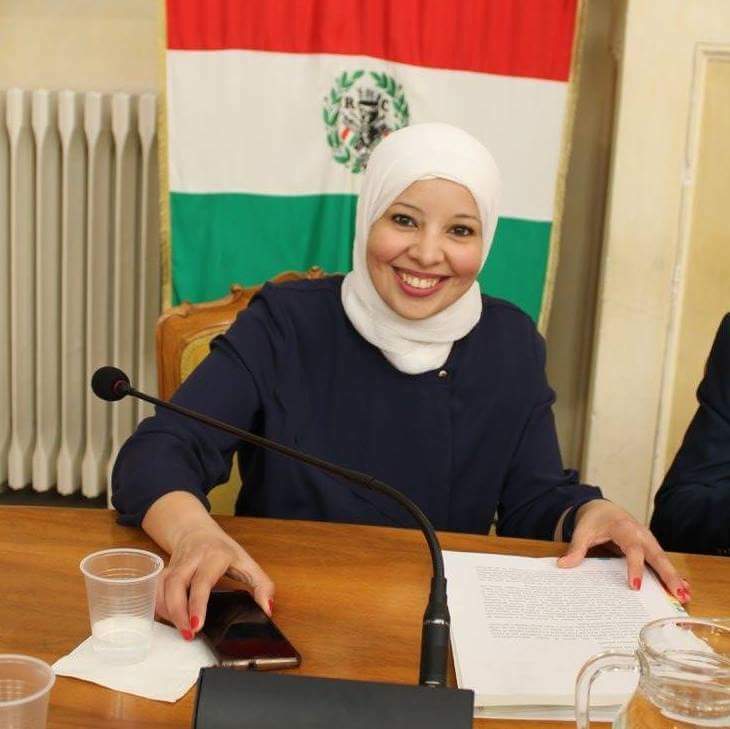 Graduated in Arabic Language and Culture at the University of Bologna, with a thesis on the Egyptian Nobel Prize for Literature, Naguib Mahfouz, she started working with Mondinsieme Foundation in 2004 as educator in schools and editor for journalistic projects. In 2008 she worked for the editorial office of Reggio Emilia’ s newspaper “La Gazzetta”. In 2009, she began the development of schools’ intercultural network and the management of Mondinsieme’ s training program, focusing on young Muslim women. 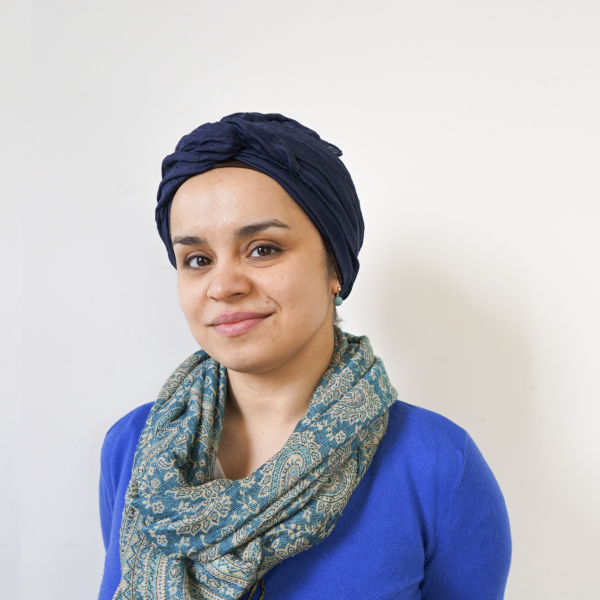 Since 2011, Marwa Mahmoud is responsible for Mondinsieme’ s intercultural education projects. 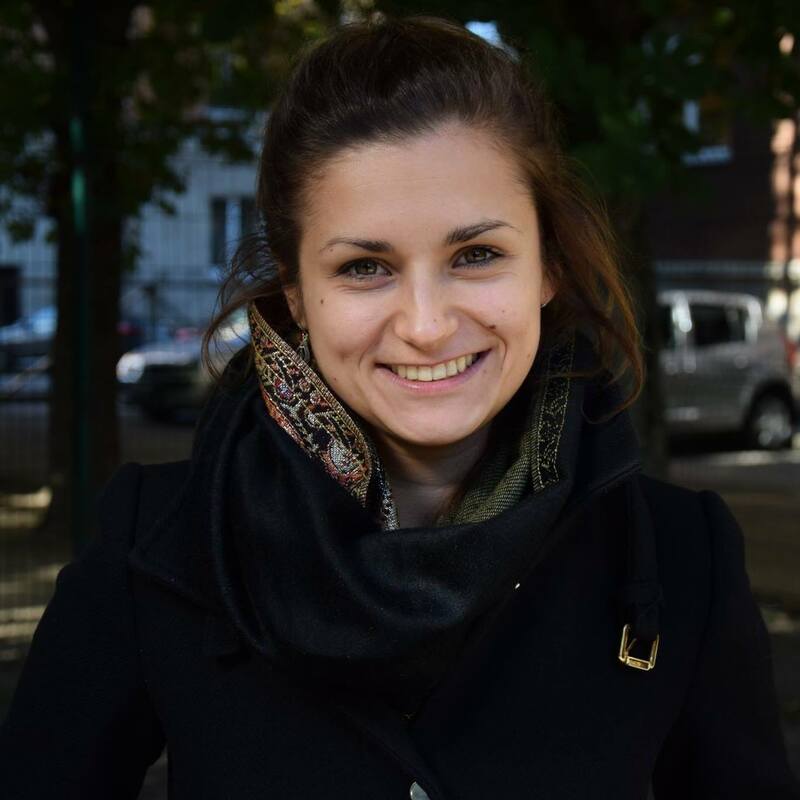 She is also a member of the National Coordination Committee of the Italian New Generations. 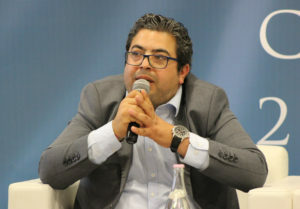 Mr. Yassine Isbouia, Director of the National Institute of Youth and Democracy, National coordinator of the “No hate speech movement” and General coordinator of the Mediterranean Forum for Youth. Researcher in the Youth and civil society topics, ex-member of the Youth Committee of the League of Arab States. Council of Europe and SALTO-Youth Euro-Med trainers pool member. MA degree in Human rights studies, University of Law of Tangier. Laureate of the Royal Institute of executive education for youth and sports – Specialized in Youth activities. 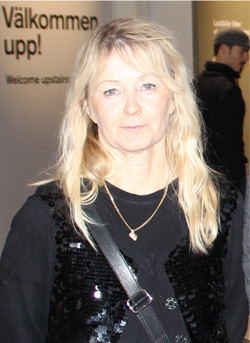 She has graduated as upper secondary teacher at Göteborg University in Sweden in 1984 and has a vast experience of teaching all levels of Swedish for immigrants up to university level. Currently employed at Munkebäcksgymnasiet in Göteborg. 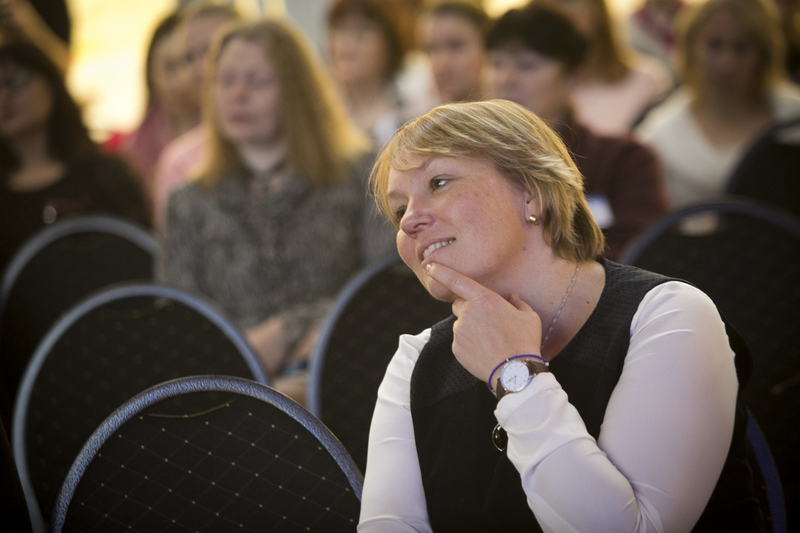 Has been active in the Swedish Anna Lindh network from the very start and has taken part in more than ten international projects within the European Life-Long Learning programme. The previous project at Munkebäcksgymnasiet ”Different Faces of Europe” was awarded both a national and a European quality label in the etwinning portal. Another on-going Erasmus+ project at the same school is ”Fundamental Rights in European Education (F.R.E.E.). It deals with open and innovative education, training and youth work embedded in the digital era. Piret Hartman is the deputy secretary general of cultural diversity in Ministry of Culture of Estonia. Piret started active societal work creating her schools student government in Lüganuse High School in Ida-Virumaa. She has been one of the founders of Estonian Student Government Union and Estonian National Youth Council. Piret has worked at the Parliament as fraction adviser, led campaigns and been her party’s executive director. Working as the adviser of the Minister of Culture between 2015-2016 she was one of the authors of recreational activities concept that is implemented starting this fall. I am a wife, mother, friend, colleague, aunt, daughter, fellow wayfarer – and I hope I can put in front of all of these at least the word “good”  I started my career in 1988 working in a kindergarten – that year was important to me and opened my eyes and years to many thing. Following that I studied in Tartu University and started working in 1992 as an Estonian language teacher in Tartu Puškin secondary school. In 1999 I moved to Tallinn and started running language immersion program. Today I consider that program my third child beside my two adult sons. Smart and beautiful children! Starting from 2007 I work in Ministry of Education and Science. Starting as a Minority Education Department Head and starting from 2009 Head of General Education Department. Education, multilingualism, and multiculturalism have been my job, hobby, passion, and challenge. Only my sons are more important to me than that. Heidi Paabort graduated from the Viljandi Culture Academy of the University of Tartu in 1997 in the speciality of dance arts. 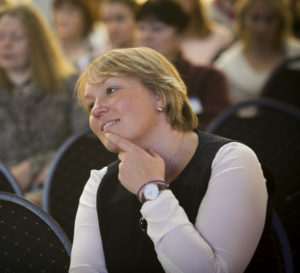 During her 20 years of working, Heidi has participated in intercultural projects with hundreds of young people, contributed to the establishment of programmes all across Estonia for children and youth growing up in risk situations, and founded several NGOs, incl. the Association of Estonian Open Youth Centres (AEYC), where she has worked for 10 years as the managing director. Estonian AEYC is an umbrella organisation for youth centres connecting 160 youth centres all over Estonia. Thanks to youth centres, approximately 80,000 Estonian young people aged 7–26 can take part in youth work. The organisation has helped to raise several important issues in the society, established hundreds of hobby groups, supported the initiatives of thousands of young people, provided youth centres with resources, and enabled many youths to gain international experience. Estonian AEYC acts as the coordinator for the European Voluntary Service by helping youth centres in finding or sending volunteers. Currently, Heidi manages the Youth Prop-Up sub-measure of the Youth Guarantee, which is aimed for young people who are neither in employment nor in education. Several activities supporting the life skills of young people are related to the international level and intercultural studies – youth exchanges, voluntary work, camps, study visits, trainings, etc. Heidi participates in various expert groups and networks all over Estonia as well as at the European level. Consequently, she influences the work of youth centres and improves the reference materials for increasing the quality of youth work and other related fields. Heidi has contributed to the founding of the Logbook of Estonian youth centres. The Logbook is an electronic monitoring system of youth centres that allows youth centres to gather everyday statistics in order to enable uniform interpretation of information and evidence-based statistics. In 2015, a case file system was established for the Youth Prop-Up programme of the Youth Guarantee. The system helps to analyse the extent and influence of the international activities of youth work. Liis Tamman has gained profound understanding of the field through her working experience in different organizations – grass-root level in Põhja-Tallinn youth centre, national level in Estonian Youth Work Centre (EYWC), in third sector in FND Against Bullying and in local municipality in Tallinn Sports and Youth Department. In EYWC she was responsible for national support program for youth centres in co-operation with regional structures, European Social Fund (ESF) program “Developing Youth Work Quality” (2008-2013) sub-programme for youth centres to support extra services to increase the competitiveness of young people in the labour market and to reduce social exclusion, international cooperation protocols with China, Finland, Latvia, Lithuania, Belgian-Flemish and project “Estonia and Moldova Youth Policy and Youth Work Development 2012-2014”. Through multitude of tasks she has successfully managed to coordinate implementation of different successful pilot projects (incl. KiVa anti-bullying programme roll-out in Estonia), as well as leading the work of international project teams in Erasmus+ projects. Liis is now engaged with coordinating Tallinn city international youth work and just finished her work as consultant-assistant for Estonian National Youth Council project “Common Youth”. This has provided her opportunity to expand her perspectives in youth work and helped to acquire even wider view of needs and possibilities in youth work on a local level in different contexts. 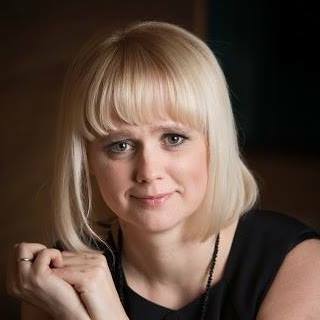 Kari is one of the founders of the Estonian Human Rights Centre and manages its activities. He takes part in the work of refugee and equal treatment programmes. He is the Executive Director of the EHRC also teaches European Union law and studies public administration in doctoral level at Tallinn University of Technology. From 2010 to 2015 he managed the equal treatment advancement projects at TUT, a part of which was the campaign “Diversity Enriches”. 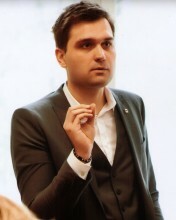 He was involved with the youth organisation Tegusad Eesti Noored (Active Estonian Youth) 2001 – 2008, being one of the founders and helping to manage it. He also took part in the work of the European Youth Parliament between 1999 and 2008. 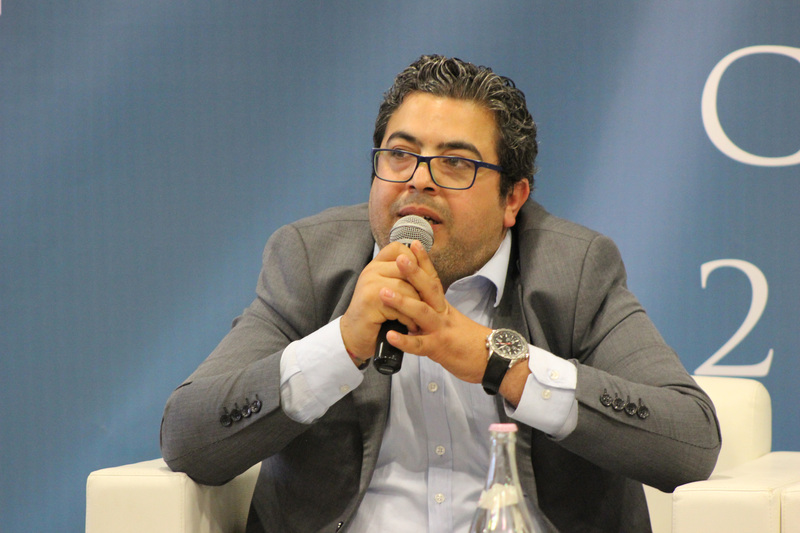 Anis Boufrikha from Tunisia, Sousse with a degree in international economics and then a master’s degree in entrepreneurship and another in creative entrepreneurship. He joined the African Development Bank in 2007 as a research assistant In charge of the bank’s database in NGOs in 2014, it launches its own development box through which it manages several projects and provides training related to socio-cultural development and governance as well as several other expertise related to project management and To associative governance In 2011 he created the association we love Sousse, once launched it multiplies the encounter and develops the idea of We love associations network which was officially created in February 2012 with the assistance of 10 Associations we love in 6 different countries In 2012 he was elected head of tunisian network of Anna Lindh Foundation and he is currently coordinating several associations throughout Tunisia.